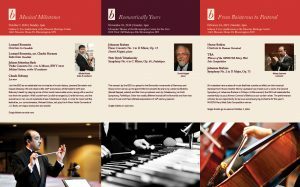 The Bloomington Symphony Orchestra has had a wildly successful year, selling out concerts at the Masonic Heritage Center and the Schneider Theater, welcoming over 200 students to our concerts, and by taking on increasing musical challenges through the performance of masterworks by Debussy, Bernstein, and Tchaikovsky. The BSO is working hard to enrich the lives of our audiences and musicians with outstanding performances of challenging, educational, and thoughtfully selected orchestral repertoire through our concerts and weekly rehearsals. To continue this work, we need your help! Your support helps us provide this music at a low ticket price for audiences, and admit students for free, in fine venues close to home. It also helps support our appearance at the Bloomington Orchestra Festival, where hundreds of Bloomington Public Schools string students get to hear the BSO play in their school, and perform side-by-side with high school musicians. 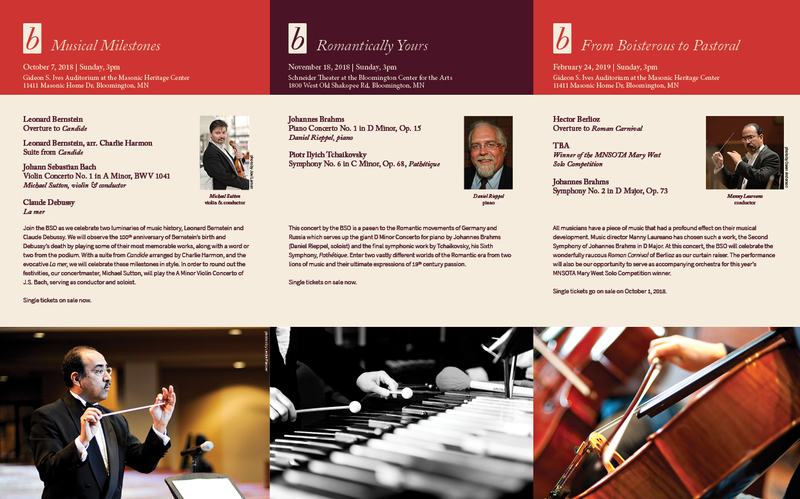 All gifts are tax-deductible to the extent of the law and donors will be recognized in our concert programs. To discuss recognition opportunities at the $500 level and above, contact Sara Tan, General Manager via email. Thank you in advance for your support of the Bloomington Symphony and for helping us keep this beautiful art form vibrant, here in the Twin Cities! PS — Our Board of Directors is continuing to match donations up to $5,450. We are 65% of the way there, and every gift at any amount will help us meet this match! Before each concert, we share “Manny’s Musings,” thoughts from our Music Director and Conductor, Manny Laureano. This is the second edition of the “Musings” for the “Musical Milestones” concert that will be performed on Sunday, October 7, 2018. Johann Sebastian Bach (aged 61) in a portrait by Elias Gottlob Haussmann. You’re a composer and you love what you do. Furthermore, you want listeners to love what you do, because life is easier when you get a paycheck for doing what you love. 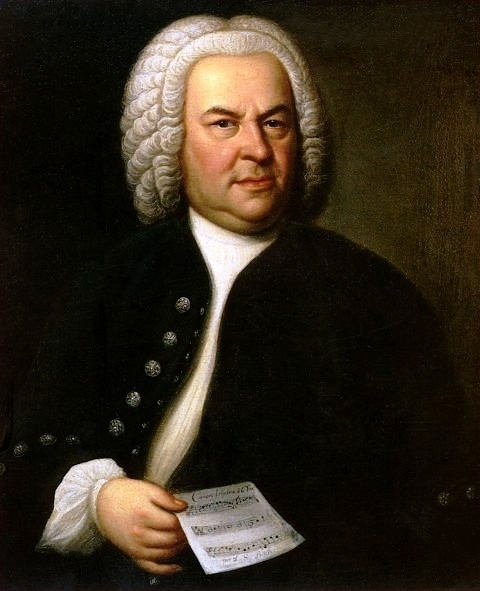 Johann Sebastian (1685-1750) saw all of his musical output as a glory to God and he wrote music as a form of payback, whether secular or sacred in subject. So it stands to reason that helping people remember your themes through a clever technique called ritornello. The Italian ritornello means “little return” quite literally. In other words, this technique which was used by Antonio Vivaldi, the Italian Baroque master, consisted of presenting a theme and bringing it back over and over but always with a hint of development to tease the ear and keep things interesting and compelling. 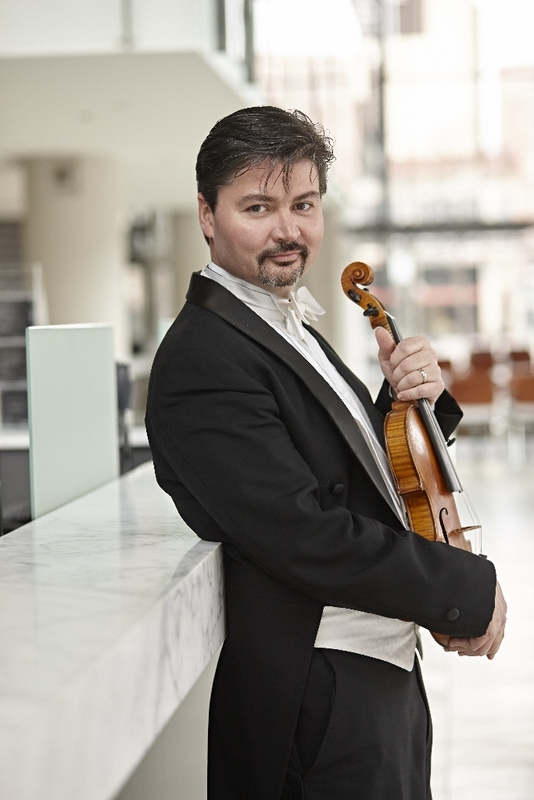 Bach’s style in this first concerto for violin is almost aggressive in the way he pushes his themes at the listener as the intense conversation fairly rages between soloist and accompanying forces. The sweetness of the slow movement that follows in C major gives way to a lively dance in 9/8 time back in A minor. Before each concert, we share “Manny’s Musings,” thoughts from our Music Director and Conductor, Manny Laureano. This is the first edition of the “Musings” for the “Music in 3D: #5” concert that will be performed on Sunday, April 22, 2018. 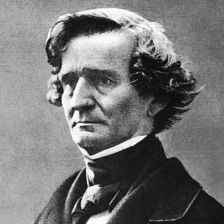 When Hector Berlioz wrote his work, The Damnation of Faust, he took a risk by writing a hybrid work. It traversed the worlds of both grand cantata and opera and the audiences that attended the first performances weren’t quite sure what to do with it. 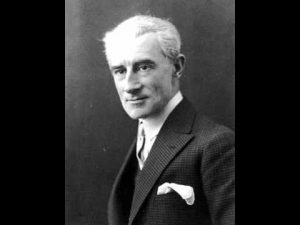 He likely would have preferred clear dislike of the piece but was more upset by what was indifference by the opera-going Parisians. 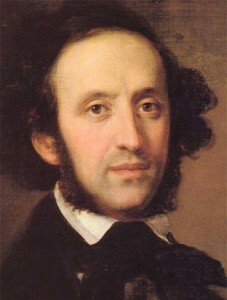 After all, the novel was something that had provided Berlioz with his latest obsession. In human terms, it is easy to understand why the lack of validation for his interest would be disappointing to him. Time changes hearts and minds and the construction and thematic material became more appreciated as evidenced by the many performances that happen world-wide on a yearly basis. 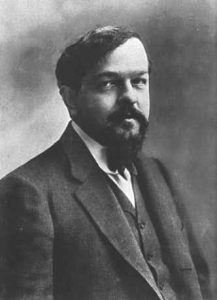 The Hungarian March or Rakoczy was added to accentuate the cynicism that was a part of Faust’s character. This march, which was written earlier and separate from the opera, provides Faust with the opportunity to wonder how soldiers could be so infernally happy (see what I did there?) when he perceived life to be so useless and bereft of anything to celebrate, much less being an enlisted man. Before each concert, we share “Manny’s Musings,” thoughts from our Music Director and Conductor, Manny Laureano. 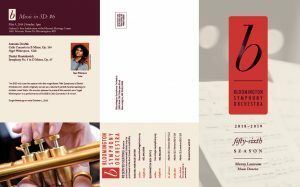 This is the final edition of the “Musings” for the “Stories and Enigmas” concert that will be performed on Sunday, February 25, 2018. Imagine you are a very strong country whose empire is so large that it would soon be said that the sun never set upon it, as there is always some part of the globe you conquered that’s lit up by some part of the sun’s rays. Not only that, you are the reigning monarch of the English language, as you have few that match you in your use of prose. An influential queen is on the throne. You rule the seas and all that. You have it all. While the written arts were on display in every library on the planet, you do lack in a couple of areas that much of the world find important. 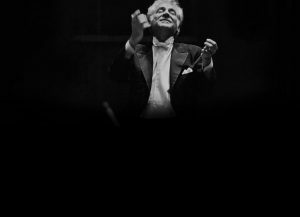 There are no current household names that gave you equal notoriety in the art of painting nor that one other artistic endeavor: classical music. There are sea shanties and folk tunes that were recognizable across borders but symphonies and the like? Not so much. And so it came to pass, that England was quietly in search of a national composer who would write music that the world found itself embracing. 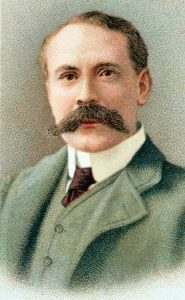 God provided in the form of one Edward Elgar (1857-1934) who was born to a family who owned a music shop. In essence, he was always surrounded by music and musicians. It also gave him the chance to learn several instruments, some nominally and others well. Of the ones he grasped with greatest intent were piano and violin. Growing up Catholic in a predominantly Protestant area drew forth many of the same challenges that Gustav Mahler would find in terms of prejudices, except that Elgar found the strength to hold onto his faith through the woman he would eventually marry. She was his final and most enduring love, named Caroline Alice. Again, he bucked the traditional British class by marrying “up” while she, the daughter of a well-known major, married “down” for the time being, at least. Slowly and impressively, Elgar honed his style until it became unmistakably his. The fullness and cleverness of his orchestration in the work, “Variations on an Original Theme,” known more familiarly as the “Enigma Variations,” are a marvel to anyone who studies the work in its written form. His use of dynamics, voicing balances, and the oh-so-right instrument choices are fodder for modern-day film composers. Every time you hear the piece it is like reading Shakespeare: you find something new with every hearing. Thus, the British Empire would lay claim to a champion for the music of the concert hall and smaller venues with his chamber music, as well. He would also lay claim to that which is desired by every British boy and that was knighthood, as it happened for him in 1904. This honor was just the beginning of such that he would receive worldwide. How do we tend to honor him in America? Go to any college graduation and listen to the music played while the students process down the aisles and you will almost always hear a household tune always associated with that occasion: Pomp and Circumstance #1 in D major.